Our second daughter is set to arrive in less than 12 weeks. We are just now getting around to deciding on a name. Really, we decided on the name within a week of finding out her gender, but for some reason, it wasn't sitting right with us. I kept joking that the reason it wasn't sitting right with us was because SHE was actually a HE, and that God was protecting our hearts from becoming too attached to HER name. Wouldn't that be funny if it was true. We used the name for weeks before finally deciding it was definitely what we wanted. Our poor parents thought that we were trying to personally torture them, because we wouldn't tell them what we were considering. Really though, we just weren't sure ourselves! AND the last thing you want to do when trying to name your child is to tell someone that you aren't sure about a name, tell them the name, and see their reaction. I one hundred percent believe that people are much more willing to show their opinions, either by facial expression or actual words, when they think you aren't sure about the name. If you tell them that this is definitely the name, I think that the normal person is more likely to hold their tongue/hide their true opinion. Sophia because we both love this name. We both love Sophie, actually, but we like that you can call Sophia "Sophie," if you want, but you can't really call Sophie "Sophia." Not that we are going to call her Sophie right off the bat, after all, I don't like when a given name is changed to a nickname right from the beginning. Same reason we discouraged people from calling Grace "Gracie." And the meaning is "wisdom," which seems fitting as most of this pregnancy was spent praying for wisdom for different situations we were in. "MARILLA: What is your name child, and no more nonsense? ANNE: Anne Shirley. Plain, old, unromantic Anne Shirley. MARILLA: Anne Shirley is a fine and sensible name, and hardly one to be ashamed of. ANNE: Oh, I'm not ashamed, but if you are going to call me Anne, would you please be sure to spell it with an "e". MARILLA: What difference does it make how it is spelled? ANNE: It makes a lot of difference. Print out "A-n-n" and it looks absolutely dreadful, but Anne with an "e" is quite distinguished. So if you'll only call me Anne with an "e", I'll try and reconcile myself to not being called Cordelia. MARILLA: Very well then, Anne, with an "e", how is it that you happened to be brought and not a boy?" 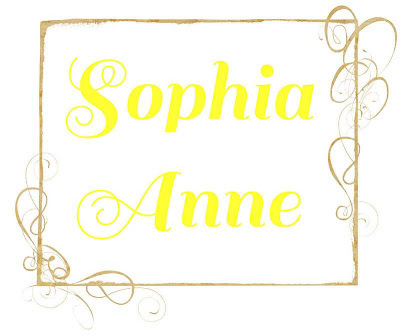 And that is the honest truth of why we are spelling it Sophia Anne, not Sophia Ann. We love our little girl so much and can't wait to meet Sophia in 11 weeks or so! We're already praying that Grace and Sophia (Sophia and Grace?) will be fast friends! Oh Brittney! I love it! I think it is such a beautiful and classic name and it goes well with Grace! I also love that you can shorten it to Sophie because it is just precious. I cannot believe you are only 12 weeks away from meeting another sweet girl! I love that name!! I has such a ring to it!! She has a beautiful name! I really like the sound of Sophia and Grace together - and if you ever decide to call them Sophie and Gracie I think that would be so cute too! So pretty. My middle name was ann but i changed it to my maiden name once i got married but i always liked anne more than ann. Yay for picking out a name, it is beautiful! I am sure your parents are happy now that they know you weren't trying to torture them! Yay!!! Sophia Anne sounds beautiful!! I can't wait to meet her! we have Elyse Ann...without an E! ha! I always love hearing the reasons behind why couple's choose certain names! I love it! Quite beautiful and I've never heard of a Sophia Anne before. Also love the AoGG reference! Beautiful name, Brittney, I love it! We must have similar taste in names, because Grace and Sophia are both on my list of favorites :-) I love Sophia Anne! And I know what you mean about Anne vs. Ann. I would have to spell it with an "e" too! What a beautiful name! Sisters are a great thing! I know how hard picking out names can be, with Brooklyn we waited until the day she was born to pick one!! 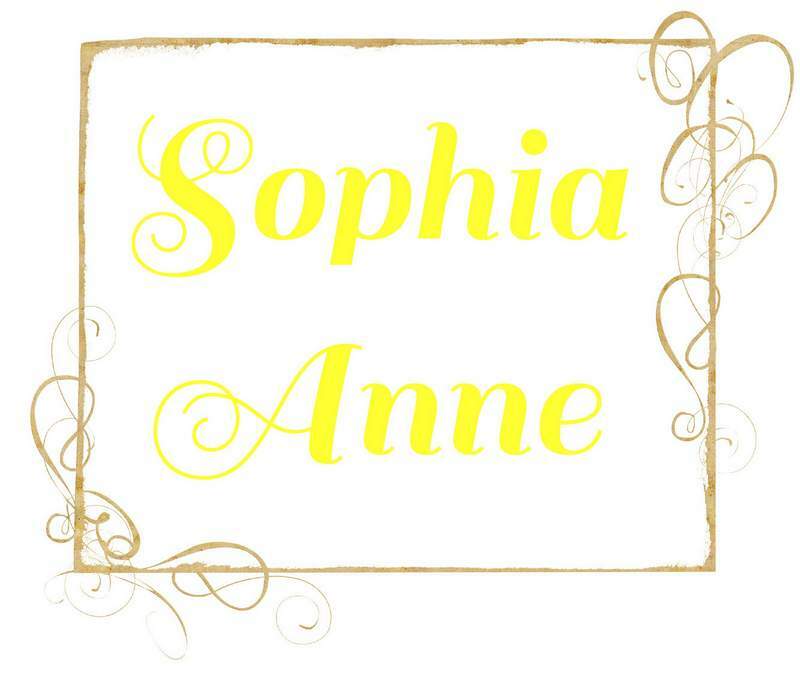 I love the name Sophia it is very beautiful. Such a beautiful name =). Such a sweet name! I was Ashley Ann with no e... now I kind of wish I had an e! Love me some Anne of Green Gables! Enjoying catching up on your blog.... your house is gorgeous!